Precious Opal is one of the worlds most unique gems. 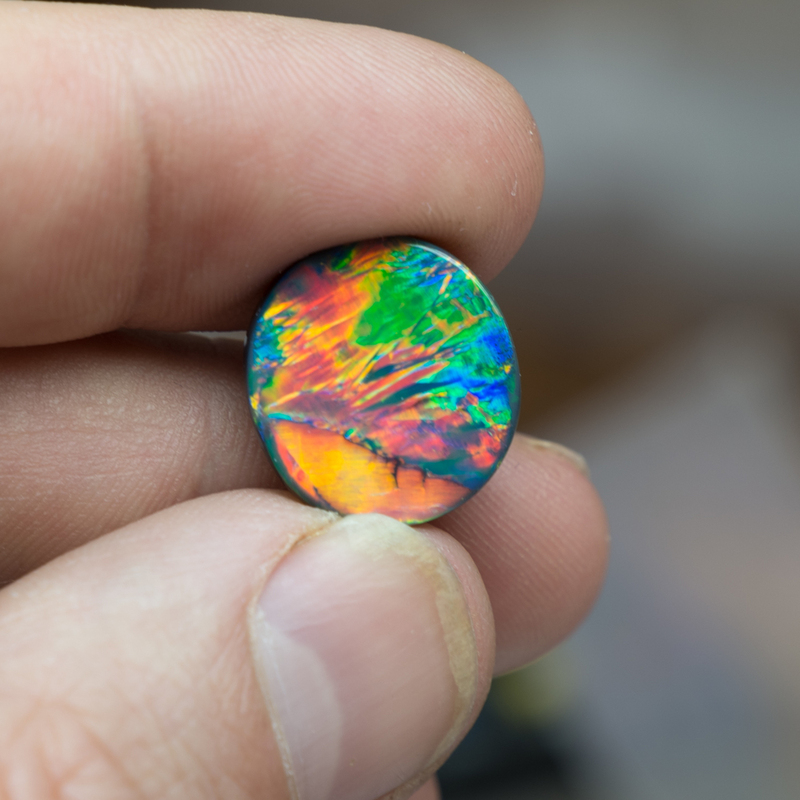 The ability to diffract and break light apart into a full color spectrum give this gems a unique and magical look. The play of color, which is the main attraction in precious opal, also has brought rise to many folkloric tales. In ancient Egypt it was said that opals brought health and healing - having a combination of water and fire. In mid-evil times opals were prized by noble ladies, for their delicate nature and play of light. Opals are found throughout the world, with the most precious varieties of black and white being found mainly in Australia. The term black and white refer to the color of the stone matrix which contains the play of color. Black colored opals with strong fire are the most prized, yet other variants exist. The opals most commonly used in jewelry are white precious opals, often also from Australia. These stones have a distinct whitish body, with various plays of color throughout. The play of color designates it a precious opal vs plain white opal (which is, just plain white). Also from Australia is the very popular boulder opal. This is opal that is spread thinly throughout pieces of a type of soft sandstone matrix. The patterns and colors are really beautiful, and can make stunning jewelry pieces . Also quite quite beautiful is Mexican opal, which comes in shades from clear and white to a rich red. The better stones all display beautiful plays of color, but are often cut in amorphous shapes. A totally different type of color exist in opals from Peru (naturally named Peruvian opal). 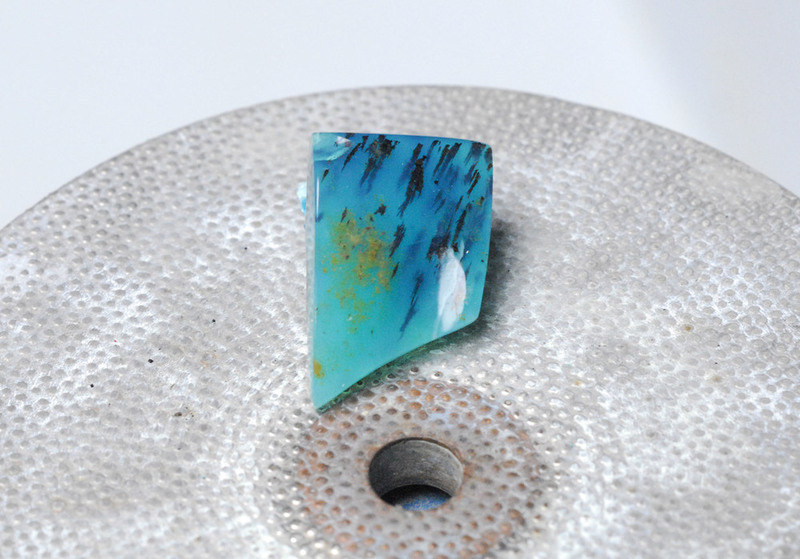 These opals have a lively blue base and are translucent, making the blue color stand out. Various impurities are what give the unique design elements to these fun opals.